The red comb-back on the left is made with traditional woods and techniques. Barn red milk paint finish. Lifetime Guarantee. $2250. 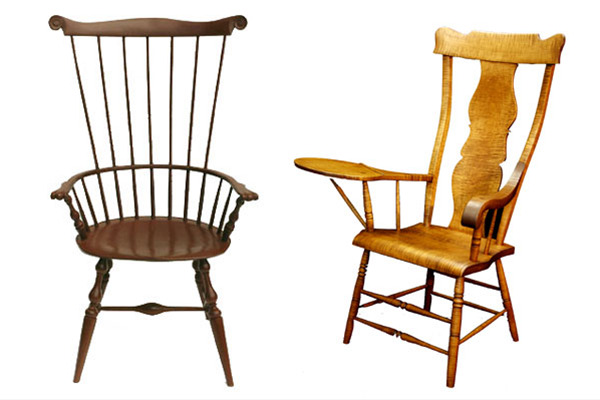 The chair on the right was copied from one that belonged to the client that they had enjoyed for many years. The original was painted black, but this one we made in fancy curly maple. Price on request.